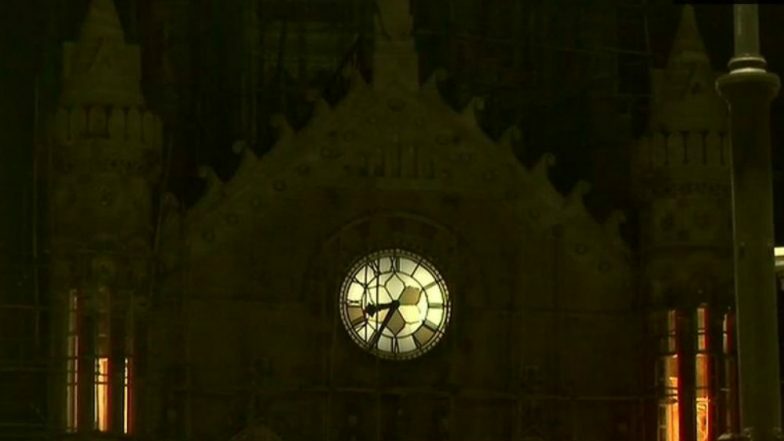 Mumbai, March 30: Mumbai's iconic Chhatrapati Shivaji Maharaj Terminus (CSTM) turned off its lights on Saturday as part of the initiative to mark the Global Earth Hour 2019. The global Earth Hour is being observed on March 30 this year. Earth Hour 2019 Date and Time: Know Theme and Significance of the Global Observance Aiming For a Greener Planet. CSTM is known for its lighting during the important festivals and days in India. However, the authorities decided on this unique idea to highlight the message of Earth Hour 2019. The Earth Hour is observed every year to raise awareness on how energy consumption affects the environment. The Earth Hour is a day organised by the World Wide Fund for Nature (WWF) across countries for the preservation of planet Earth. Earth Hour 2019 is being observed on March 30 between 8:30 pm and 9:30 pm. Those participating in Earth Hour are encouraged to switch off lights and other electrical appliances at homes, workplaces and other institutions encouraging less use of electricity. Famous landmarks, monuments, governmental buildings, housing societies, popular streets around the globe often participate in the event highlighting the need for energy consumption.